Review of the Jem 77FP and the Jem 777 DY. Hope some of this was interesting still 30 years later. 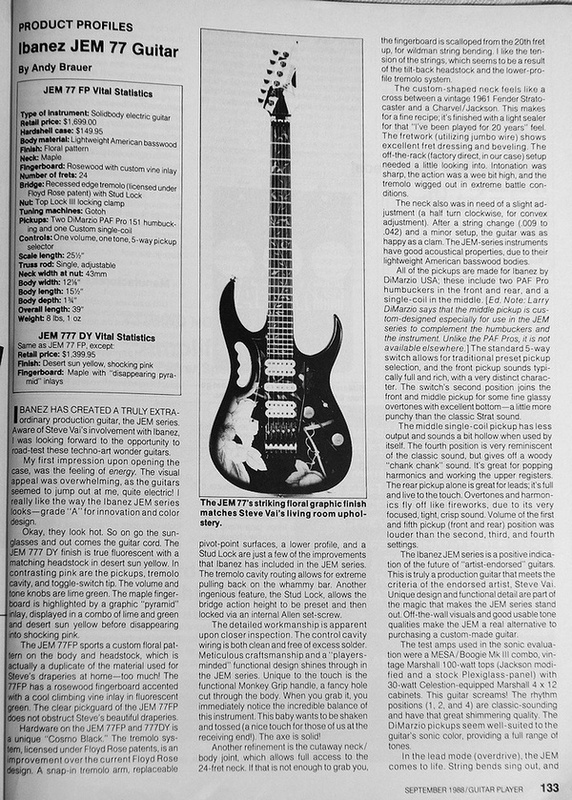 Guitar Player May 1988. Steve Vai talks about David Lee Roth LP "Skyscraper"